Happy New Year from HotSauceDaily & HotSauceWeekly! Curt from GameDayEats.com sent me a 2 pack of Hell Fire Salsa and Wing Sauce Especial to review. Woot! We’re attending a Beer & Fiery-Foods Tasting with Captain Thom at Mahaffey’s in Baltimore MD on Jan 23rd. Received a jar of “mystery salsa/sauce” for review for Buddah’s Bacon Challenge… stay tuned for that. I’m working on setting up my new iMac for the HotSauceWeekly.com podcast – next guests include Cindy Reed Wilkins of CinChili.com and Blair Lazar of After Death fame. A Hot Wing Cookoff may be in the works… or at the least, a hot wing roundup/review! Just in time for SuperBowl Season. So, thanks for stopping by the HotSauceDaily.com blog, and thank you for checking out our podcast at HotSauceWeekly.com ! 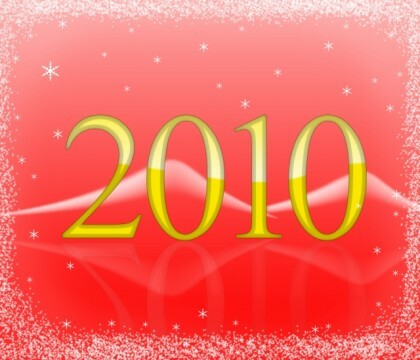 Here’s wishing all of you a Happy New Year and and great 2010!! Back attcha, Brian and Marilyn! Thanks for all you’ve done, and here’s hoping for an even more successful year here in 2010. Happy New Years to you all too! I’m making some of your sriracha wings again today, they’re my favorites! .-= A post from Chris’s blog …Hot Tubbed Steaks & Cast Iron Grates =-. Happy New Year! I’d love to participate in a Hot Wing Cookup and my husband would be thrilled. Keep me updated on this!